The birthday of a Christian is a good opportunity to not only celebrate their life but also remind them of how special they are in the eyes of God. 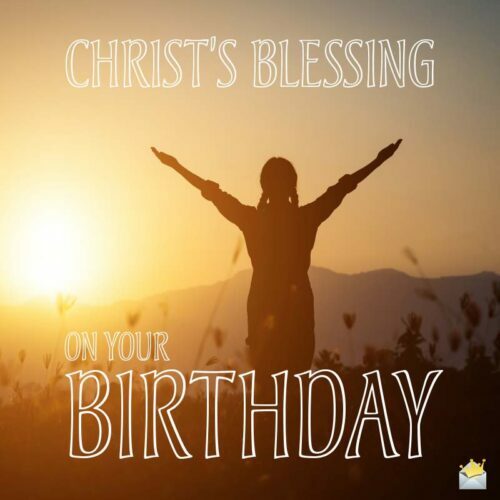 In the spirit of Christianity, we have freely provided some original Christian birthday wishes that will enable you to effectively do so. We are all thankful that God has granted you another birthday, and we all wish that you enjoy it to the fullest! The fact that you have lived to see a new year in your life indicates that God is still in the process of guiding you to your ultimate destiny – a destination of great beauty. The entire church and I are united in welcoming you to a new age in your life, and we are all expecting you to continue to excel in the name of Jesus. Happy birthday, dearest brother in Christ. May the divine anointing on your life continue to propel you towards a destiny of prosperity and ripe old age. I wish the very best birthday to the person I am more than proud to exalt as a sister/brother in Christ. Just as it took Moses 80 years to prove worthy of the calling of God put on his life, you are also a work in development, and we all feel privileged to share in your experiences and witness your growth. The amazing fact that you are still here is evidence that God is still executing a wonderful plan for your life. As you grow in age, strength and grace may you also grow in the knowledge of the Most High God. The Bible says love your neighbor as yourself, so I gave your gift to the person living next to you. Lol, just kidding! 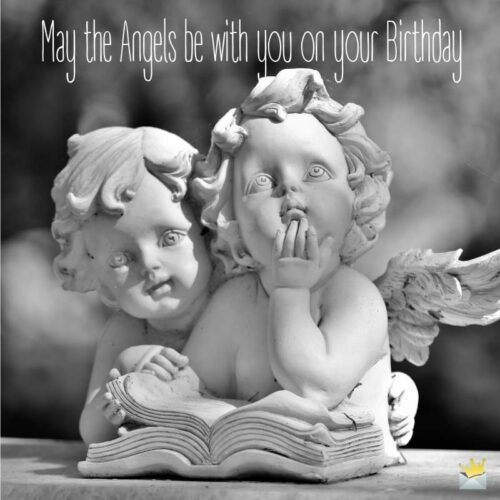 May the angels be with you on your birthday. As you grow older, it’s my sincere prayer that you will also grow stronger so that you can live out the type of destiny that God requires of you. Have a blessed birthday, and may you grow up to be the type of righteous leader the world sorely needs. May the decades of life you spend here on earth serve as a rehearsal for your eternity in Heaven. Happy birthday, dear friend. Thank you for not only being a friend but also a counselor and supporter in times of mental and physical anguish. My sincerest wish for your birthday is that God will bless you with countless more. In the distant future, when men look back on these days as ancient times, may your name be found worthy to have a book named after it added to the Bible. Thank you for being a friend that walks the talk and exemplifies the ideologies we believe in. May you have a blessed birthday. May all of the selfless love you freely give to others be recompensed back to you on your birthday. God bless you, my dear. May you forgive me for any time I may have offended you and accept this heartfelt happy birthday wish from a true admirer. I’m glad that in having you as a friend I can say I know at least one person who is truly Christ-like. I pray that as you grow older and wiser, you maintain a trust in God, understanding that only He can direct you down the ideal path for your life. 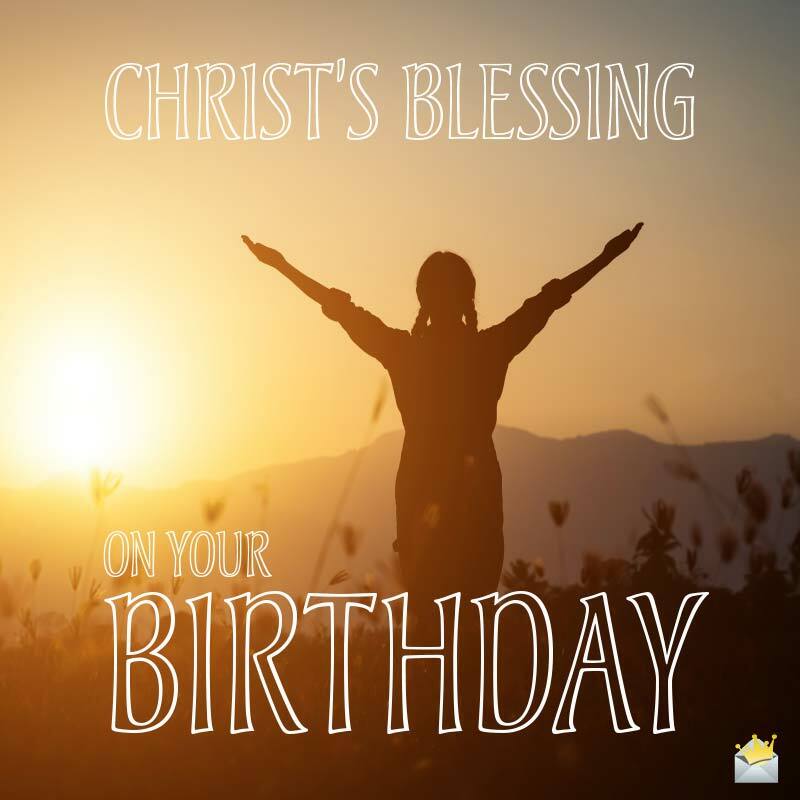 Christ’s Blessing on your birthday. Today is the day we celebrate a unique and precious person who not only we but more importantly God loves also. God has known you since you were in your mother’s womb, and it is evident by your strong development that He has not forgotten about you during your time on earth. Happy birthday, brother. I think I can safely speak for the entire church, indeed community, in wishing an awesome birthday to the person who has served as an inspiration and role model to us all. This beautiful day, as we celebrate the birthday of the wonderful creation which is yourself, our mouths are filled with praises to God for the exceptional human being He brought into our lives. You are fearfully and wonderfully made, and we are humbly and gratefully in awe of your development. You are the type of role model that actually makes the wayward soul want to attend church. Happy birthday, sir. Happy birthday, and may God bless you with 100 years of vibrancy, joy and blessings as He did for Abraham. God knew the important work He was doing when He put you in our lives. May you experience many more in good health. As you age and become more beautiful, I pray that God will protect you from all the wolves disguised as sheep and wicked people in the world. God shone his light the day you were born. Have a great birthday, and may your feet continue to remain steady on the path to wisdom and excellence so that you will be blessed with a long, healthy life. May the angels of heaven embrace and protect you every step of the way as you continue your walk of faith. May you continue to experience favor from God, may He extend your years beyond those of your peers, and may your future generations also be blessed because of the righteous life you are living in the present. Every time I look at you, I am able to bear direct witness to the splendor of God’s handiwork. Our days may be short and full of trouble, but spending them with someone like you gives life more meaning. May Jesus himself come and cut cake with you on this special, celebratory day. Even as the years of your life may be winding down, you are yet an unborn infant in the kingdom of Heaven. Happy birthday, dear friend. This year, may you enjoy a birthday worthy of a patriarch of the Christian faith. As you celebrate, do know that even if life up until this point has proven unsatisfactory, God has blessed you with a new age where your future contentment is only limited by the extent of your faith. If the devil is prowling around looking for someone to devour, I’m here to declare that he will have to devour his own flesh because the mighty God we believe in has your back!